LI has ambitious plans for 2018 that will do much to spread the ideas of individual liberty and build a more effective liberty movement around the world. 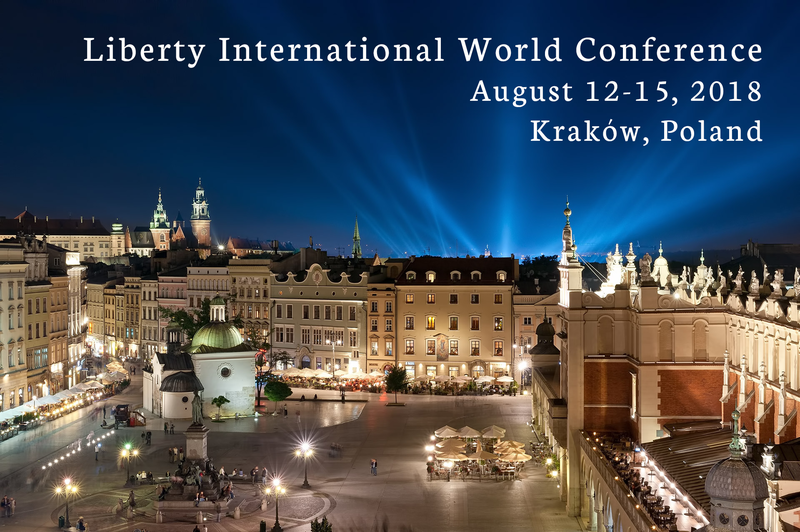 We are organizing a powerful LI World Conference in Krakow, Poland … have started producing a new series of educational outreach videos for our website … have lined up organizers of Liberty Camps in several new countries, and more. We hope that you will be able to lend your financial support to ensure the success of Liberty International’s work! There is another way you can help LI. We are gathering testimonials that will help us tremendously in approaching new donors and foundations. If you attended any LI World Conferences and/or Liberty Camps – especially on scholarship – what impact did that have on your life? What are you doing now in the liberty movement, or academic studies, or in business that was influenced by your association with Liberty International activities? If you are a donor, what do you think is special about LI that has been worthy of your support? There is space for comments on the back of the donation form, or send a letter to the LI office, or e-mail direct to [email protected]. And please send a photo! We had a couple testimonials in the year-end letter, and we have some other success stories later in this letter. A great opportunity to recharge your intellectual batteries, make new friends and network with fascinating individuals from around the world, and enjoy one of Europe’s most beautiful cities. The website for the LI 2018 World Conference in Krakow is now up: www.conference.fundacjawip.org. 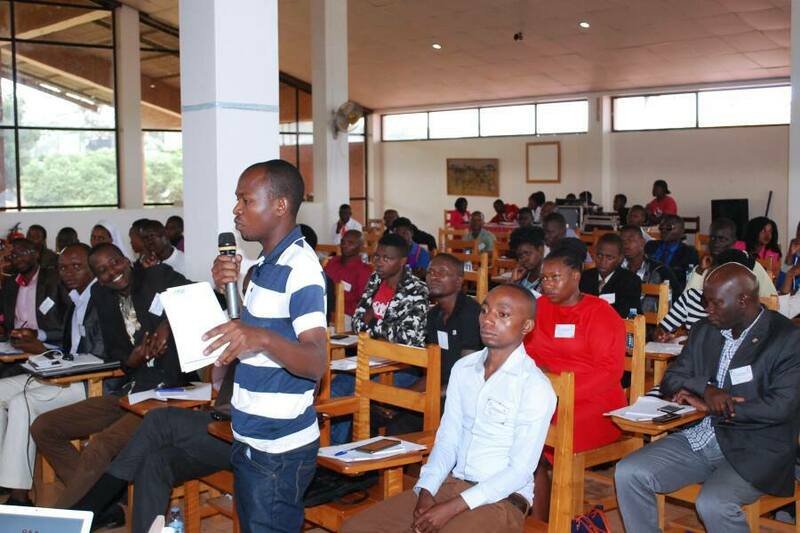 (Freedom and Entrepreneurship Foundation – FEF) They are taking the conference registrations. The price for the full conference program plus opening reception (Sunday night August 12th ), daily lunches (13th – 15th), and closing gala banquet on Wednesday night the 15th is just US$250! The conference hotel is the Grand Ascot, a new 4-star hotel located in central Krakow, within walking distance of many of the top attractions. Prices are quite reasonable. Rooms are a modest $75 per person/per night shared, or $137/night single. https://grandascot.pl. +48 12 446 76 02 Our special reservation code is LIBERTY18KRAKOW. Breakfasts are included. There are lots of lodging options nearby. Watch for updates in the LI News e-bulletin, or contact LI. A powerful, international speaker lineup is being assembled. Among them are Lawrence Reed (USA) – president of Foundation for Economic Education (FEE), Hiroshi Yoshida (Japan), Pedro Mustig (Brazil), several Poles including organizers Marcin Chmielowski and Jacek Spendel of FEF, and Jan Kuban, president of the Polish-American Foundation (PAFERE); plus LI directors Mary Ruwart, Ken Schoolland and Jim Lark. Many more to be announced! Also watch for post-conference excursion details. Allow three days. Since the early 1990s, LI has provided conference scholarships to students and young liberty leaders, mostly from the ex-Soviet bloc, or more recently from around the region where the conference is held (we had 100 in the 2015 Bali conference, almost all from Indonesia, southeast Asia, and Australia). Virgis Daukas (Lithuania): First attended the LI 1992 conference in Poprad, Slovakia, became LI Rep for Lithuania, co-founded the Liberty English Camps that have spread to 30+ countries, and helped organize the 2003 LI World Conference in Vilnius. 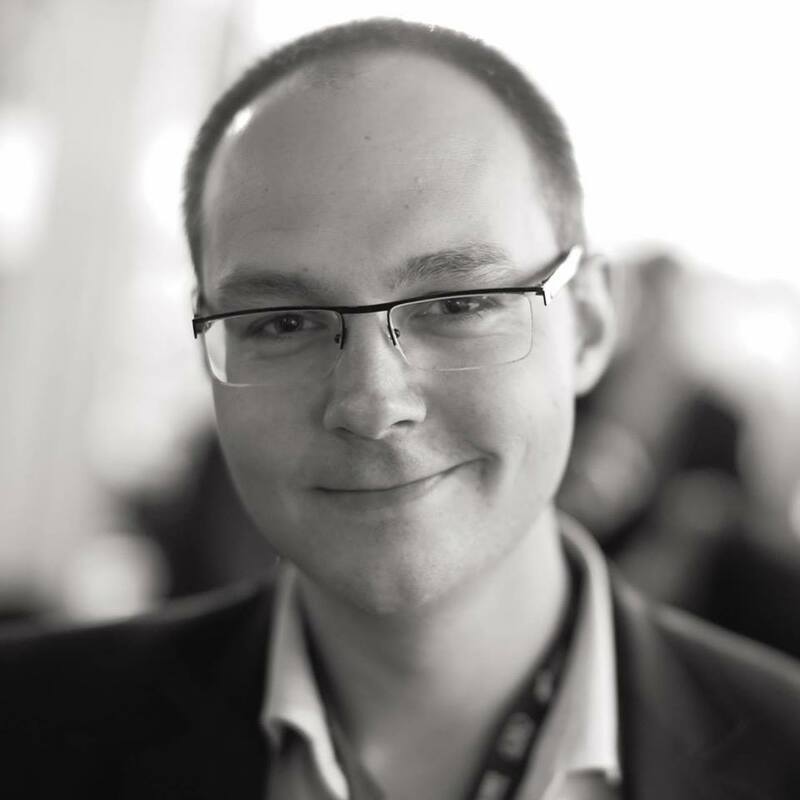 Fred Roeder (Germany): soon after attending the LI 2006 Prague World Conference and the 2007 LLI Slovakia Liberty Camp, co-founded European Students For Liberty. Their regional conferences have grown to over 1,000 participants and they have active chapters in nearly every European country. Jacek Spendel (Poland) – also attended Prague and Slovakia. He has organized several LLI camps in different European countries, founded the Freedom and Entrepreneurship Foundation in Poland, has produced several video documentaries and is working on a full-length movie on the life of Ludwig von Mises. He also runs Project Arizona which brings select overseas students to Phoenix for economic studies and internships, and is a co-organizer of the upcoming LI World Conference in Krakow. Josef Sima (Czech Republic): as a young staffer at the fledgling Liberalni Institut in Prague, attended the LI 1998 Berlin conference. Josef is now president of the very active institute (renamed CEVRO), and the group took over the Prague School of Economics and instituted an Austrian economics curriculum. He was host of the LI 2006 Prague World Conference. Valentina Nicolaie (Romania) – she first attended Poprad, became LI Rep for Romania, translated six books, and helped create a network of several liberty organizations in Bucharest. Tomislav Krsmanovic (Serbia) a fighter for human rights in Yugoslavia dating back to the Tito era, he attended Poprad, became our Serbian Rep, translated several books in several Balkan languages, and distributed literature at Belgrade universities. Hector Naupari (Peru) – attended Berlin and is now a prominent economist in Peru. Kozeta Cuadari-Cika (Albania) – first attended the Dax, France 2001 LI conference and became our Albanian Rep. She has translated several books, and hosted the 2014 LI Tirana conference. Juan Rallo (Spain) attended Prague as a student, and is now president of the very active Fundacion Juan de Mariani think tank in Madrid. 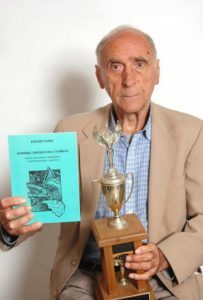 Alexander Kokotovic (Serbia) – in 2011 he attended both a Liberty Camp and the LI Sicily conference. He soon became president of European Students For Liberty and is very active in SFL in the Balkans. The accomplishments of these and many other liberty-loving individuals around the world attest to the success of the LI “Johnny Appleseed” strategy of finding and helping to develop young liberty advocates and organizers in new places around the world. Who will be the future liberty movement stars who will be inspired by participation in the LI Krakow conference? We will learn – depending on how many we can afford! Help create tomorrow’s liberty leaders with your most generous contribution to the LI Conference Scholarship Fund. The Language of Liberty Institute (in cooperation with Liberty International) continues the expansion of Liberty Camps into new countries. Last month they held a camp in Uganda. The LLI team of Glenn Cripe and Andy Eyschen worked with Adedayo Thomas of Nigeria, who has helped organize Liberty Camps and other libertarian outreach throughout central Africa, and with local Ugandan organizer Mugabe John Socrates. Marina Brierley (UK) was a teacher. LLI will hold a Liberty Camp in Poland just before the LI Krakow conference, and we expect a number of the best students from the camp to attend the Krakow conference on scholarship. There are new organizers eager to conduct Liberty Camps in Belarus, Nepal, Sri Lanka, Kurdistan, Tunisia, and Montenegro, but those are being delayed pending funding. Andrii Leonov (Ukraine) – a post-grad student in philosophy, he was introduced to liberty ideas at the 2016 LLI camp in Stilkove, Ukraine. He is currently a Fulbright scholar at Southern Illinois University, and plans to spread liberty ideas in Ukraine. Edo Omercevic (Bosnia) – introduced to liberty at the 2011 LLI camp in Albania, he now runs the Center for the Advancement of Free Enterprise in Bosnia, and is a member of the Mont Pelerin Society. 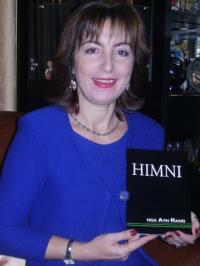 Milica Kostic (Serbia) – an LLI Camp was her first international libertarian event. She is on the board of European Students For Liberty and is Communications Manager for the Libertarian Club in Belgrade. Ratko Nikolic (Serbia) – attended an LLI camp in Slovakia, and became active in SFL in the ex-Yugoslav countries. Recently he founded the Center for Anti-Authoritarian Studies, which empowers young investigative journalists to fight censorship, and expose corruption. Mugabi John Socrates (Uganda) – attended an LLI Camp, is now the SFL Rep for Uganda, and helped organize the just-completed LLI Uganda Camp. We are also happy to report that the CYCLE (Creative Youth Camp for Liberty and Entrepreneurship), the grand-daddy Liberty Camp in Lithuania that dates back to 1997, is back after a one-year hiatus. Two Latvians, Vadim Fidel and Kestutis Vaskevicius will organize the camp with LI Lithuanian Rep and original Liberty English Camp co-founder Virgis Daukas at Lake Trakai, Lithuania. The camp will be held August 19-23, just after the LI Krakow conference. Liberty Camps are another great example of our “Johnny Appleseed” strategy at work, and are highly worthy of your support! Li Zhao Schoolland has been busy promoting liberty through Asia. 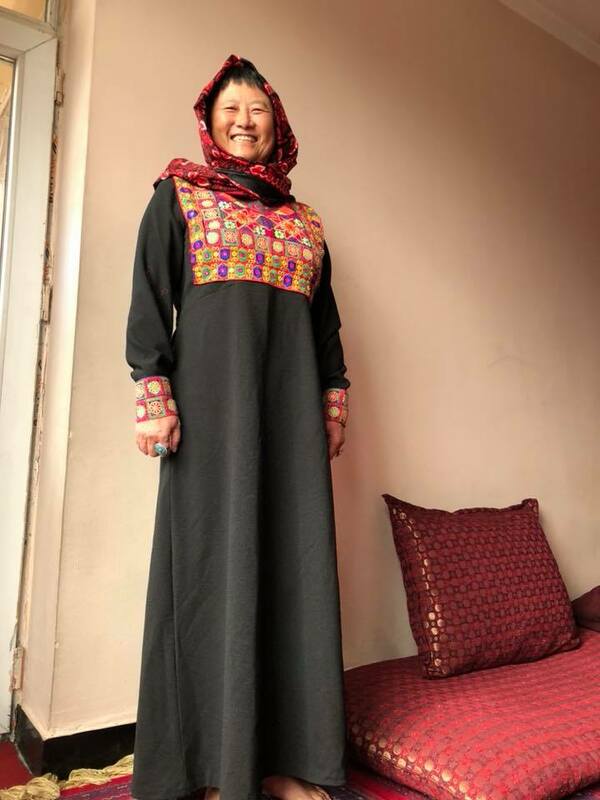 She recently spoke at the Asia Liberty Forum in Jakarta, and has just returned from a Students For Liberty conference in Kabul. 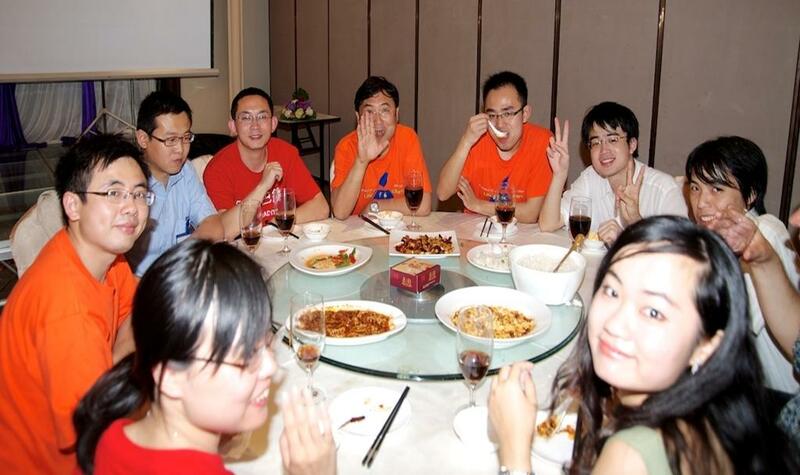 She is organizing the ninth annual China Austrian Economics Summer School in Shenyang in July, and is involved in an upcoming conference in Singapore. Just after that, she will likely speak at the LI Krakow conference and the CYCLE Liberty Camp in Lithuania. And… she is being interviewed this week on the John Stossel TV show about conditions in China. We will send out an e-mail when we find out when that show will be aired. Death by Regulation Pre-Sale Offer! 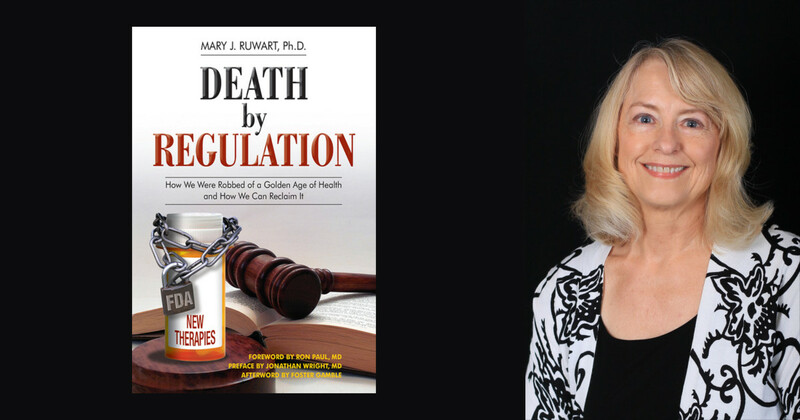 LI chair Dr. Mary Ruwart’s long-awaited Death by Regulation book on the destructive impact of Food and Drug Administration (FDA) regulations is coming out. Based on her decades of experience as a research scientist in the pharmaceutical industry, and years of painstaking research, she documents how the FDA has caused the premature death of millions of Americans by crippling innovations and causing massive price increases in drugs. This is also a worldwide issue, as many countries follow FDA regulations. The book will launch on April 10th. You can pre-order at a discount, and receive $60 value in free bonuses, at www.ruwart.com . Another aspect of the LI “Johnny Appleseed” strategy has been the production of introductory-level educational materials for both new libertarians and the general public. For years that consisted largely of single-sheet pamphlets that concisely presented the principles of liberty and relevance to hot issues. We had our own printing press, and during the 1990s churned out 3 million pamphlets, which were distributed by local libertarian groups across the country. Article versions were posted on our old website, and many of our key overseas libertarians such as our Pakistan Rep Dr. Khalil Ahmad have told us that the LI pamphlets were their introduction to libertarianism, and they distributed printouts to their students! Times have changed, with web-based videos being the primary means of communication for today’s young people. We are working on filling the need for short, concise explanations of libertarian ideas in video. One step towards this goal is that LI chair Mary Ruwart just completed six videos based on her book Short Answers to the Tough Questions, in a cooperative project with Foundation for Economic Education (www.fee.org). We will post the videos on both sites, and perhaps elsewhere. We also will produce short, scripted videos based on our issue papers. Your Help is Important NOW! Folks, in spite of our hard work and record of achievement over the decades, we are being severely hindered in our ability to make future progress towards our mutually-cherished goal of a free, peaceful, and prosperous world – due to a critical shortage of funds. The solution is simple: we need new donors! We are working on other avenues of recruiting, but word-of-mouth by existing supporters is still the best way to gain new supporters. Are you attending local libertarian meetings? We can send you our introductory brochure for free to give to your friends. Better yet, encourage them to fill out the membership section with their credit card information, and you mail them into the LI office for processing. And if your group still does outreach literature tables, put some out there as well! Do you have other long-distance libertarian friends? Are any of them donors to other libertarian organizations or directors of funding foundations? We will be happy to send them LI information by either e-mail or print mail. Please let us mention your name as the referral. Send by either mail or e-mail). And if you are on the internet, please share the LI News e-bulletins or Liberty International FaceBook posts with your friends! Encourage them to join LI and help our work to grow! To give us the best financial help, please consider our budget-friendly monthly pledge program. Just $1 per week ($5 month) or $1 per day ($30/month), or a little more or less from each of you would be a huge help in stabilizing our modest operating budget. We are a mostly volunteer network with extremely low overhead, so your LI donations get a big bang for the buck! (And your LI membership is automatically extended while the pledge is active). Or you can donate here ! If you prefer to mail in a check or credit-card information, send it to Liberty International, 237 Kearny St. #120, San Francisco, CA 94108-4502, USA. Giving LI a boost at this juncture (tax-deductible in the USA) will enable us to do much more to advance the ideas of liberty and build an effective liberty movement around the world. Only liberty can bring about a better world for all of us!